Moo've it with your friends and family at the Chick-fil-A Awesomesauce Road Race in LaGrange, GA on March 9th, 2019. Proceeds from the race will benefit the mission of the WinShape Camps for Communities to help provide scholarships for children to attend week-long camp. Chick-fil-A LaGrange will have biscuits for all participants. Start and Finish at The Thread at Granger Park. 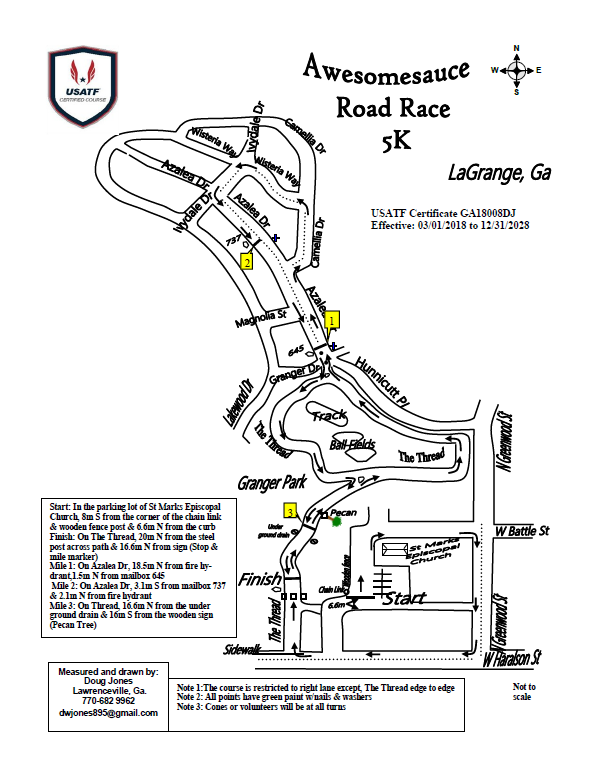 Pre and Post Race will be in the field behind St. Marks Episcopal Church. Icedream® Party contest for the elementary school class with the most participants registered. Aunts, Uncles, Grandparents, and Parents all count! Free fun activities and inflatables! When registering online, make sure to list the school and teacher's class you are representing. The elementary school class with the most participants will win an ICEDREAM® PARTY! The class winner will be announced during the award ceremony on race day. Tell your family and friends to support your class. Good luck! We want the entire famliy to be able to come out and run together. This year, we are offering a discounted family package of 4 for the 5K race. This package is limited to 2 adults only. 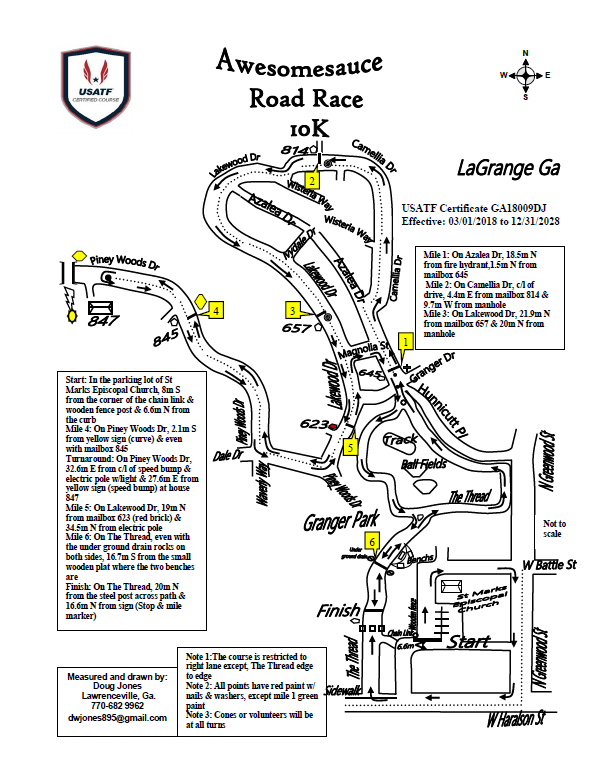 Avoid the line race morning, and pick up your race bib, shirt, and goody bag Thursday, March 7, 2019. We will be on site at Mike Patton Ford from 4:00 - 7:00 pm. Late registration will be available.